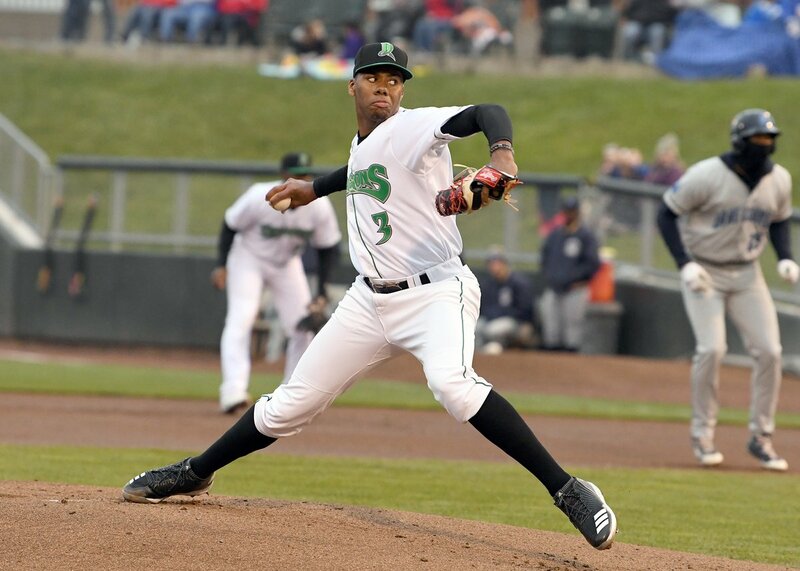 Highly-touted Reds prospect Hunter Greene made his much-anticipated Midwest League debut for the Dayton Dragons on Monday, giving the sold-out crowd at Fifth Third Field a short but electric look at what the right-handed fireballer could be doing for Cincinnati a few years from now. In the end, the Dragons beat the Captains 3-2, which was Lake County’s first loss this season. RHP Austin Orewiler, who relieved Greene, earned the win by pitching four scoreless innings in which he scattered two walks and a hit. Lake County’s Austen Wade hit a two-run double off Greene. You can read what else happened around the rest of the Midwest League on Monday — including a 12-K pitching performance — in an expanded version of this post on my Patreon site. You can access it and more by supporting my MWL coverage with a minimal monthly pledge of $1. Click here for details. This entry was posted in Dayton Dragons, Lake County Captains, Midwest League. Bookmark the permalink.